At the time, it was almost unheard of to use a debit card in regular places. But now, paying in cash is almost unusual. Consumer Credit conducted a survey to see whether respondents used cash or cards. And 80% of the respondents said that they used cards. We’re moving increasingly toward being a cashless society. When I looked into my wallet this morning, I had $2 and some change. That’s not even enough to get a coffee. But I also have my Visa card, which means that I don’t need cash at all. The last time I got cash out? I think it was about three months ago when I was buying Girl Scout cookies. With distrust of central banks and governments at all-time highs, people are looking toward less regulated forms of money. For some, this means an open-source, unregulated electronic currency like Bitcoin. If you’d invested $100 in Bitcoin seven years ago, you’d have $75 million today. Some analysts are saying that it will hit $10,000 or even $100,000 per bitcoin. There are many places that are in on the Bitcoin fervor, from Asian countries like India, Japan, and China, to Australia and the U.S. The Indian government suddenly withdrew the country’s 500 and 1000 rupee bills from circulation. Now, bitcoin is experiencing a knee-jerk reaction among citizens concerned about their financial integrity. Meanwhile, further war-on-cash-style noises have come from Australia, a country now toying with the concept of eliminating cash altogether within just eight years… At the same time, Citibank announced that it would go ‘cashless’ at some of its Australian branches. The resilience of the Chinese market and the development of the Japanese Bitcoin exchange market… has transformed into a global powerhouse over the past few months. Just a few months ago, Japan overtook both the U.S. and Chinese Bitcoin markets and also became the largest Bitcoin exchange in the world. Bitcoin is currently sitting at $3,392. That’s more than double the price of gold. People used to count on gold as a safe haven investment. But now, with Bitcoin valued so much higher, many are turning to the cryptocurrency instead. Bitcoin has had a spectacular year. 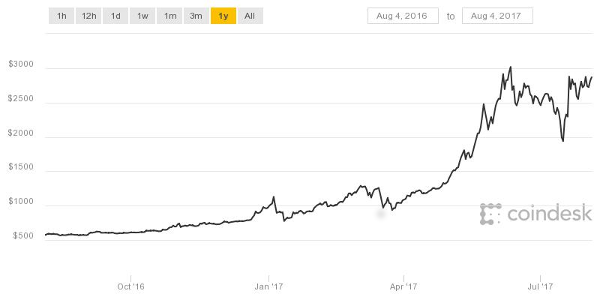 When it hit $1,580 on May 1, 2017, it traded at record highs. It’s more than doubled since then. The combined market capitalization of all public cryptocurrencies has surged nearly 80% over the last month, as more than $20bn worth of new investment dollars has flooded the nascent market. In roughly 30 days alone, the market cap for experimental blockchain-based cryptographic assets has ballooned from $27.8bn to $49.5bn. 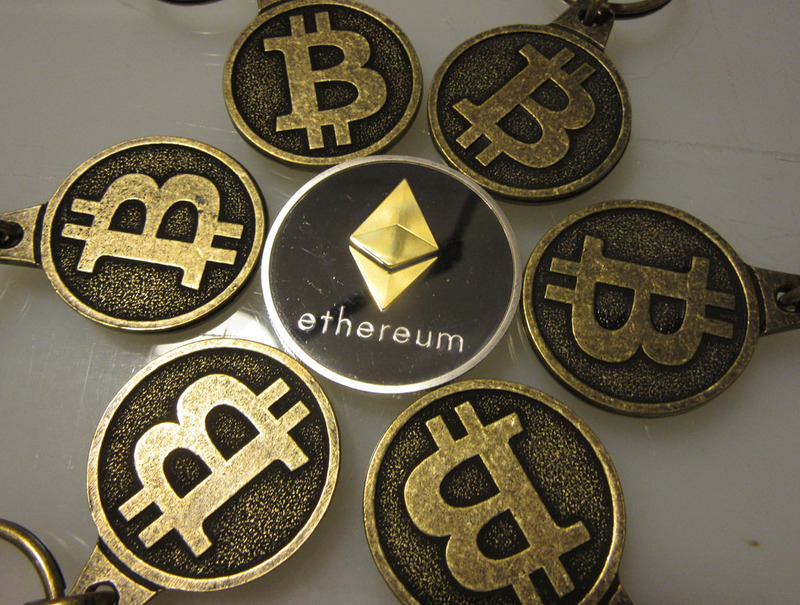 Ethereum is similar to Bitcoin, but it isn’t a currency per se. It’s actually an open-source computing platform that uses smart contracts. Like Bitcoin, Ethereum is a distributed public blockchain network. 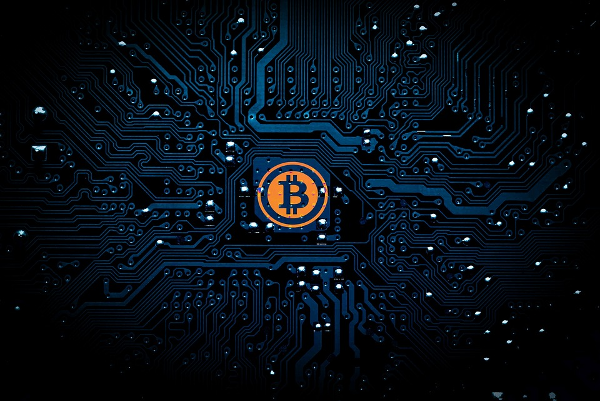 Although there are some significant technical differences between the two, the most important distinction to note is that Bitcoin and Ethereum differ substantially in purpose and capability. Bitcoin offers one particular application of blockchain technology, a peer to peer electronic cash system that enables online Bitcoin payments. While the bitcoin blockchain is used to track ownership of digital currency (bitcoins), the Ethereum blockchain focuses on running the programming code of any decentralized application. You may have heard people refer to Ether, as well. Ether is Ethereum’s currency — a way to pay for transactions and is a tradable cryptocurrency. Ethereum has had a shocking six months. In January, it was trading for $8. Investors are buying into Ethereum for several reasons. First, we’re moving toward a cashless society, and investors are realizing the value of open-source public platforms for banking and business. And as we mentioned before, investors are using Bitcoin as they’d once used gold — as a bet against uncertain times. And there’s no doubt that the past year has been a tense one, with the divisive U.S. and French presidential elections, tensions increasing with North Korea, and the U.S dropping its largest non-nuclear weapon on Afghanistan. 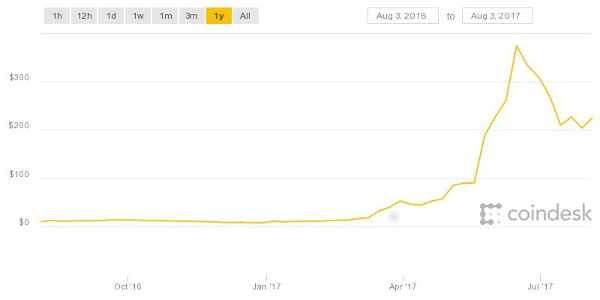 We’re living in uncertain times, and it’s making Bitcoin, and now Ethereum, jump. The last, and perhaps most important, reason for investing in Ethereum is something called blockchain. You see, one of the main problems with Bitcoin is hacking. Because everything is online, it’s very susceptible to hacking, and this makes investors wary. But blockchain is supposedly unhackable. The Ethereum project is using that Blockchain software to create so-called "smart contracts" that can self-execute. It has the potential to cut out the middlemen like banks and lawyers in transactions, revolutionising major industries. Obviously, every financial institution wants to make sure that its transactions are secure. And with the release of blockchain, they can have more confidence in electronic currencies. Ripple works with financial institutions to send money around in a fast, secure environment. Ripple was $0.05 before the weekend of May 5th. By Monday, May 8th, it was $0.22. That’s a 70% rise over the course of a few days. It’s currently sitting at $0.18. Ripple is based around a shared public database and has recently collaborated with major financial institutions, like Star One Credit Union, SEB, and eight others. Some analysts think that we could see Ripple triple in value again if those who are interested in Bitcoin get involved. Litecoin hit highs of $35 on May 10th and is currently sitting at $47.70, which is more than a 1,390% increase since the start of the year. Litecoin was inspired by Bitcoin and is very similar in technology and purpose. Like Bitcoin, it isn’t controlled by a government or bank and is also open-source. The main reason behind the recent rally has been the rising support and adoption of SegWit. Litecoin, like Bitcoin, has a block capability that limits the number of transactions per block. SegWit limits the number of litecoins on the market. And as with anything, less supply leads to more demand — making prices jump. Alter its code in small increments (a soft fork). Alter its code and increase its block size (a hard fork). It was a bitter debate among the Bitcoin community. And up until two weeks ago, it looked like Bitcoin was going to go for the soft fork option. But eventually, the community decided to be more aggressive and chose to go with the hard fork. This fork has created a new altcoin called Bitcoin Cash (BCH). It’s similar to the original Bitcoin (BTC), but it has more room for growth. So, should you jump on the BCH train? Not yet. Currently, most of the community and developers are on the side of “regular” BTC. And without their support, BCH could end up floundering. While the hard versus soft forks debate took place within the Bitcoin community, right now, other cryptocurrencies are taking their leads from Bitcoin. When it jumps, they jump. And when it falls, they do, too. It’s possible that this won’t last forever. Some think that Ethereum could end up having a higher ceiling than Bitcoin since it’s more useful in the long run. But currently, Bitcoin is the one in charge. The release of blockchain and SegWit has led to more security and less supply. And, along with the global movement toward cashless living, it only makes sense that cryptocurrencies are expanding. Understandably, you may want to get invested in them. Of course, caution should be used when buying into cryptocurrencies. It’s a relatively new market. Even Bitcoin, which is currently the most solid cryptocurrency, has had severe ups and downs (in January, it fell nearly 30%). This volatility should be considered before making a purchase. Because everything’s online, there’s also the issue of hacking. While no one has been able to hack blockchain yet, this doesn’t mean that it can’t be done. And while the lack of control by central banking systems is one reason why people buy into cryptocurrency, it also means that it’s not regulated or insured. You could make it rich if you buy into cryptocurrencies. Or you may end up with less than you started with. Think about it in terms of the 1848 gold rush. Some people found gold in California, and they became very wealthy… But the majority rushed to California, spent a lot of money, and came back with nothing. Now, we’re not trying to scare you. We’re just reminding you that cryptocurrencies are speculative and, if you buy into them, you should proceed with caution. Make sure that the site you’re using is secure and that the money you’re putting into them is money you can afford to lose. This being said, we know that some of you still want to invest. You can buy Bitcoin, Ethereum, and Litecoin on Coinbase. It’s simple and easy to attach your credit card or bank account to your Coinbase account. From there, you can start buying and selling. If you would like some more information on cryptocurrencies and other possible ways to invest, we recommend you view this video. If you do not wish to watch the video, you can view the research through the written transcript where you can read at your own leisure. Read the report right here. Here’s to the cryptocurrency millionaires! May we all know them; may we all become them. Bitcoin Splits: Can the Cryptocurrency Cope? Energy and Capital editor Megan Dailey takes a look at the market's initial reactions to Bitcoin's recent fork, and what it could mean for the digital currency in the future. Your cryptocurrencies may not be as safe as you think. Energy and Capital editor Keith Kohl explains why big names in the energy industry are looking to expand the use of this booming cryptocurrency. Hydrogen Fuel Cells: The Downfall of Tesla? 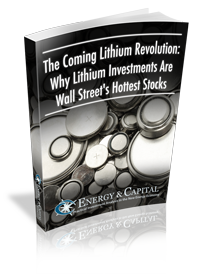 Lithium has been the front-runner in the battery technology market for years, but that is all coming to an end. Elon Musk is against them, but Jeff Bezos is investing heavily in them. Hydrogen Fuel Cells will turn the battery market upside down and we've discovered the tiny company that is going to make it happen. To learn everything about the battle set to shakeup the battery market and receive more insights from the minds at Energy & Capital, simply enter your e-mail address below. Forward-thinking investors believe this oppotunity will be one for the history books. See why today! Sign up to receive your free report. After signing up, you'll begin receiving the Energy and Capital e-letter daily. Energy is such a pervasive resource that it affects every single human endeavor. Energy has become fundamental to the very basic functions of contemporary civilization. And it is imperative to the future growth, prosperity, social stability, and security of nations around the world. Without energy, everything comes to a grinding halt. Energy and Capital has collected some of the most highly touted energy experts in the industry. These guys literally wrote the book on investing in Peak Oil. © 2019 Energy and Capital. All rights reserved. If you really want to make money, there's no better system than the stock market. Get paid while you wait for these blue-chip contrarian stocks to double. We're offering you the report today, FREE of charge. Just tell us where to send it. You'll also have exclusive FREE access to the market insight offered in the Energy and Capital e-mail newsletter, which will help you shape your investment portfolio no matter which way the market swings.